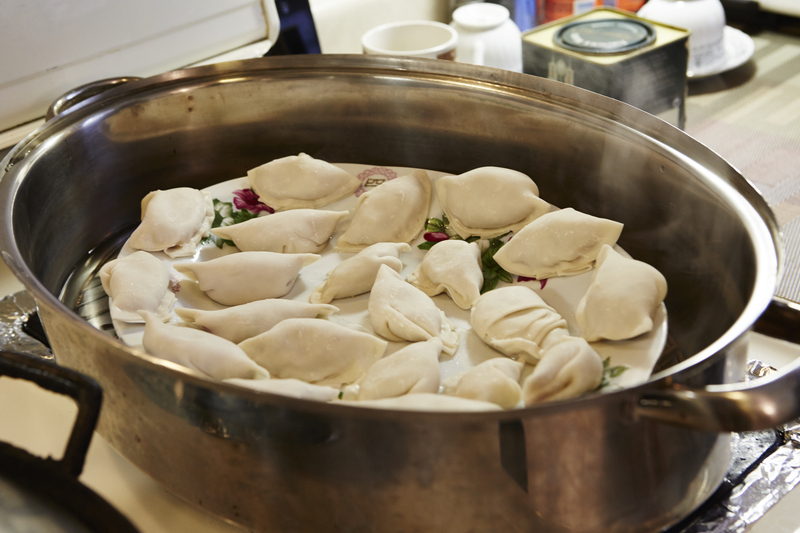 Chinese dumplings are consumed by many countries in Asia. 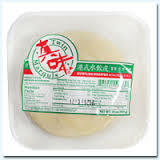 For example we call it “Gyoza” in Japan. They look like raviolis. They are usually stuffed with grounded meat and some vegetables. 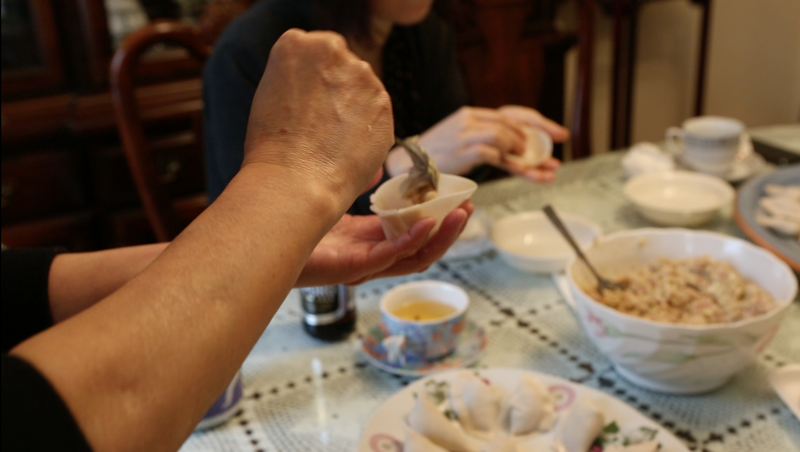 When I first tried Mrs. Lau’s dumplings I saw rainbows. They were so good that I could not stop eating. Since then I had been asking her son, Chuck if she could show me how to make it. 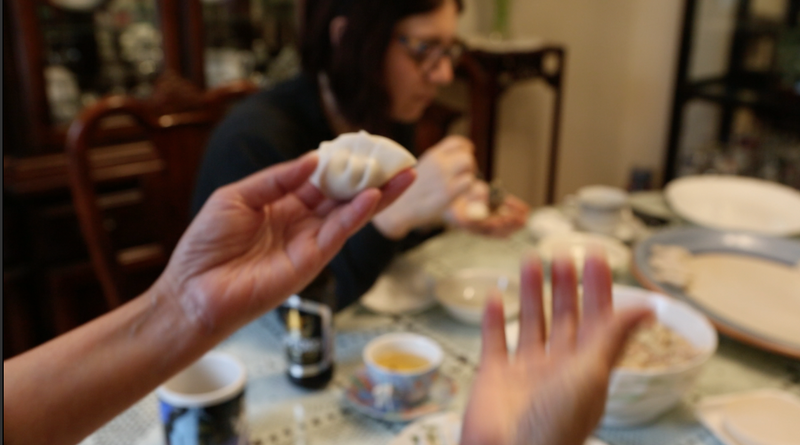 Finally, on one snowy day, some of my foodie friends gathered at the Lau family in Brooklyn to learn how to make dumplings.It was a perfect day to take advantage of being inside and making dumplings/indulging all the food created. We kept eating and drinking whole entire time. Even the family was surprised how much we ate. Tracy started off with mincing a cabbage (whole cabbage) while we watch her in beers in hands. after mixing all the above she added grounded shrimps and chopped green onions. when these are mixed well it is ready for wrapping – hard part. Below is the screen grabs from a video. 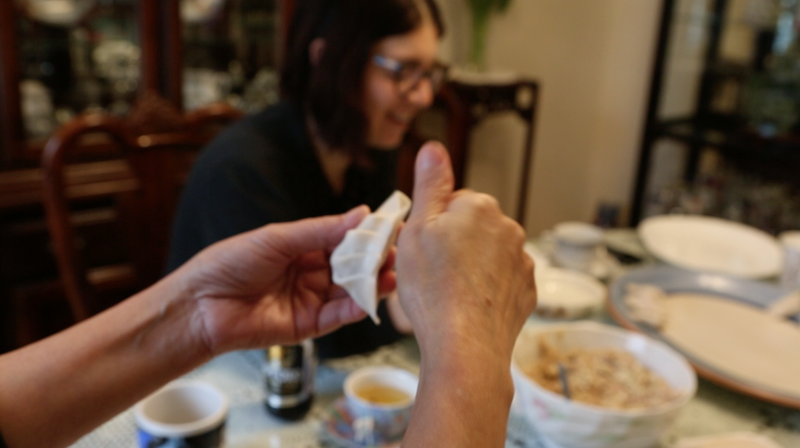 Tracy can make one dumpling in a few second. It was hard to follow her not only she makes it so quickly but how she does was so beautiful, a piece of art. Its too bad the WorldPress doesn’t support video. 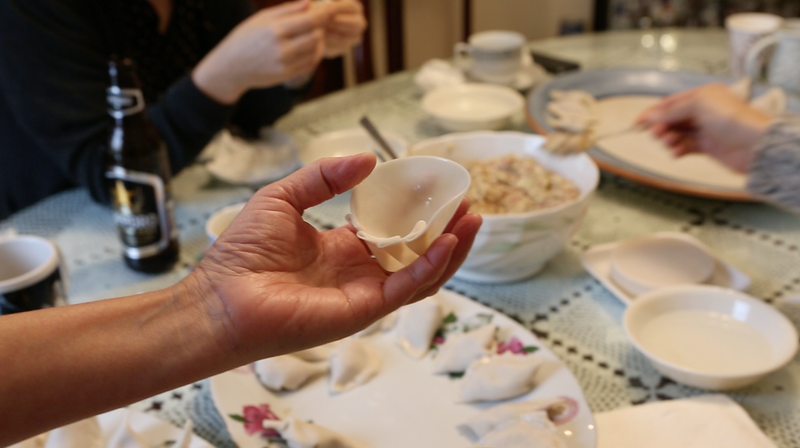 How she made dumpling was so graceful I wish I could share her move! First, she had a shallow bowl filled with water for dipping the edge of wrappers. She hold in the middle of wrapper and spin it so that only edge can get some water (like a Ferris wheel). Then she makes “folds” to transform a wrapper into a shell. then she place stuffing in the middle before sealing it by pressing the edges together. The key to make it without wasting wrappers is to make folds not too deep so that you can create decent size of shell. 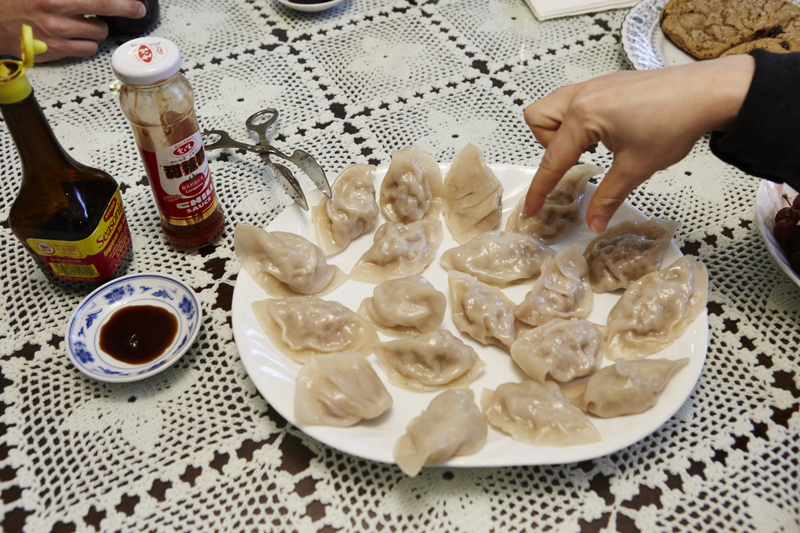 If dumpling is not stuffed enough it won’t taste juicy as much. 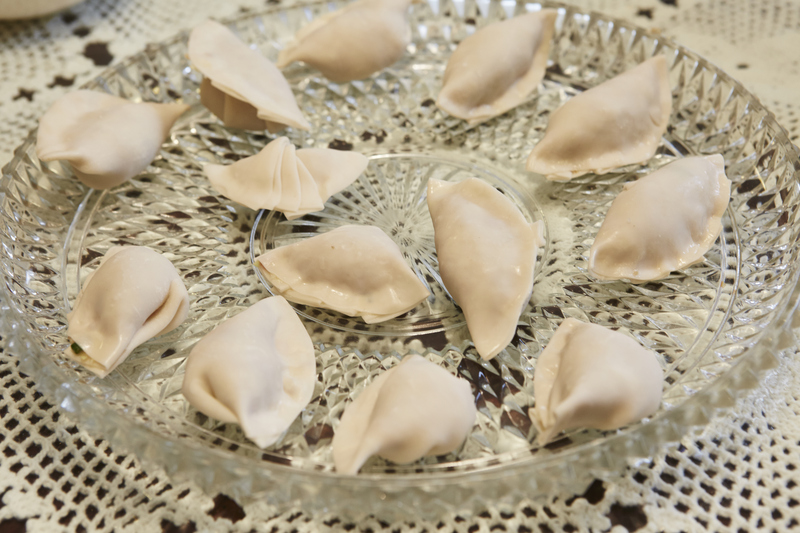 These are our odd shape dumplings…! Of course the best part of this session is to eat. 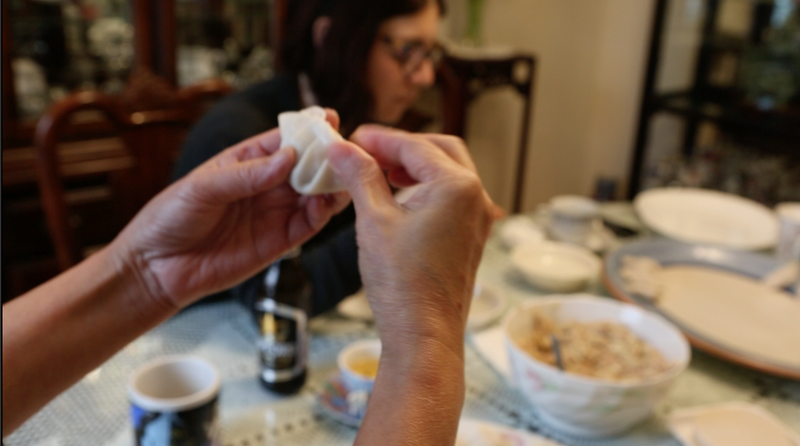 We (actually Tracy) steamed dumplings. She brought water in pot to a boil. Once water is boiling leave to steam for 20 minutes.